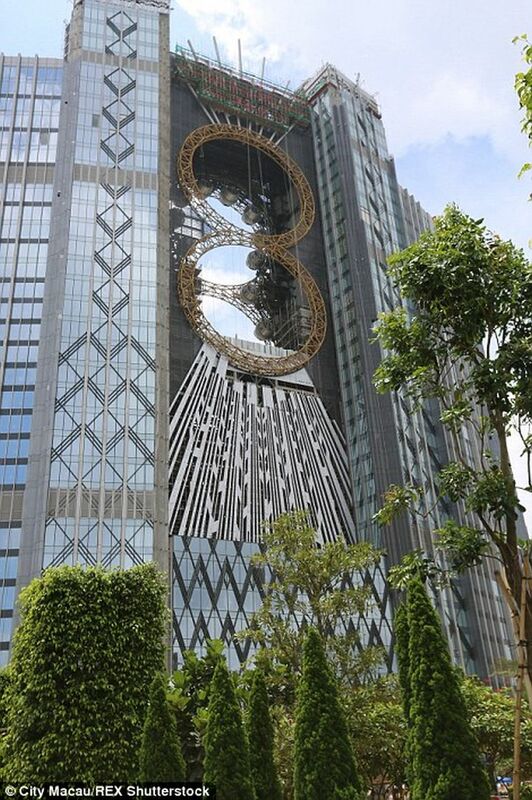 The soon-to-be-opened Studio City resort, in Macau, China, will feature the world’s first figure eight-shaped Ferris wheel, known as the Golden Reel. 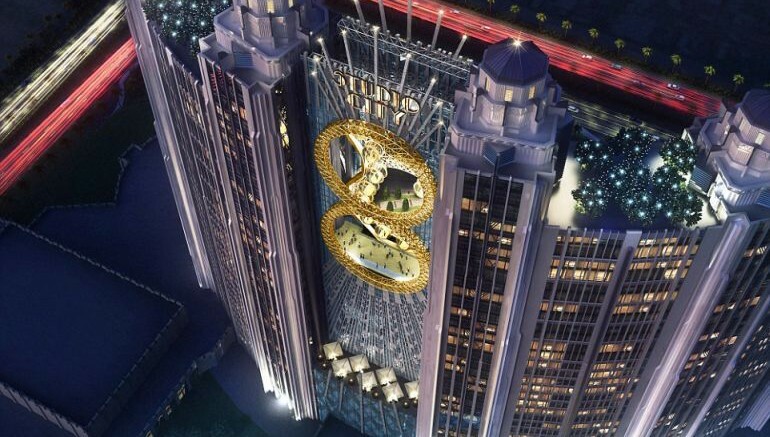 Claimed to be the highest in all of Asia, the ride will be one of the many scintillating attractions in the $3.2 billion megaresort. 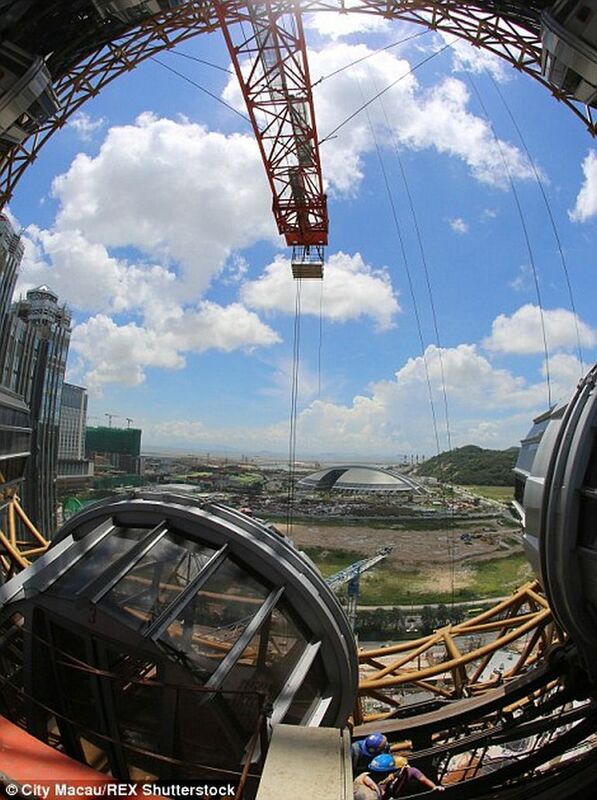 Slated to open, sometime this year, the Studio City, run by Hong Kong-based Melco Crown Entertainment, will likely be Asia’s very first movie-themed leisure resort, boasting a 300-seat studio for TV and film productions, a 5,000-seater multi-purpose auditorium for a variety of music and sporting events, a nightclub and even a 40,000-sq-ft entertainment center. 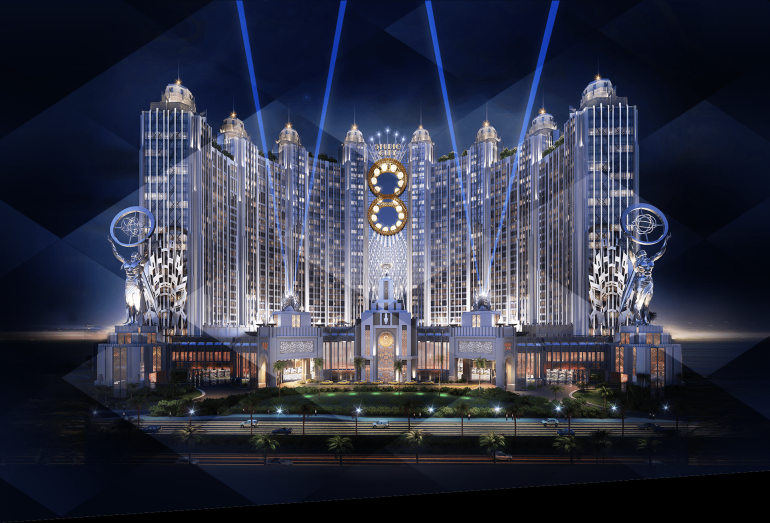 Additionally, it will offer guests a host of fine dining options, high-end shopping venues, gaming areas and luxury hotels. World-class entertainment experiences are the key feature of our leisure destination offerings at Studio City. The Golden Reel is a ‘world’s first’ technological innovation that reinvents the gondola-ride and Ferris wheel experience for our visitors. 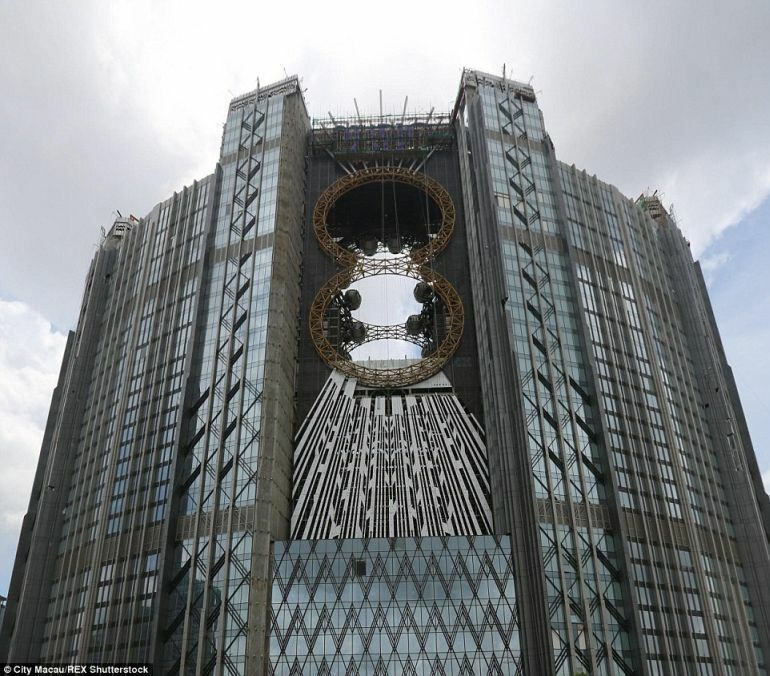 As a new iconic landmark in Macau, the Golden Reel is a totally unique entertainment offering to Asia, and indeed the world, and we continue to deliver on our commitment to expanding the non-gaming leisure and entertainment offerings available in Macau, as a continuing strategy in supporting its evolution into a highly diversified and world-leading leisure and tourism destination. 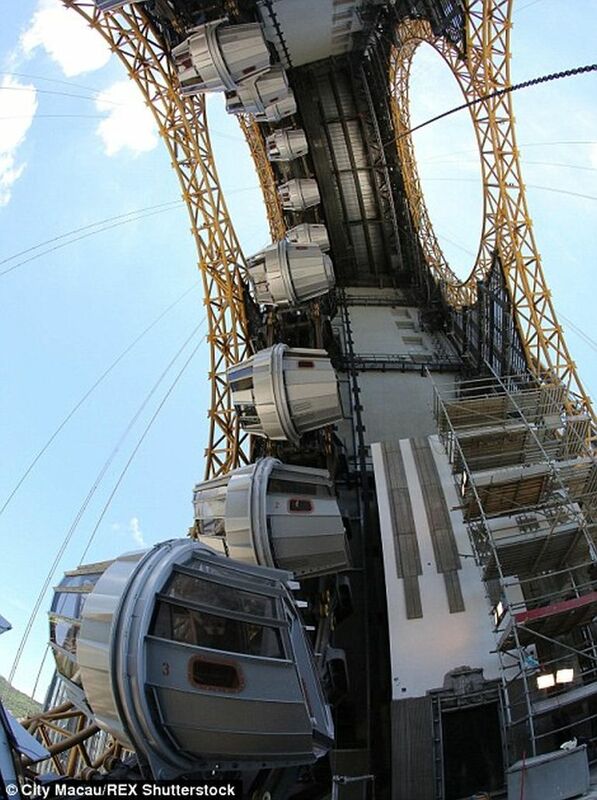 Designed by Liechtenstein-based company Intamin Amusement Rides, the Golden Reel sports 17 steampunk-style pods, each of which can hold up to 10 people. 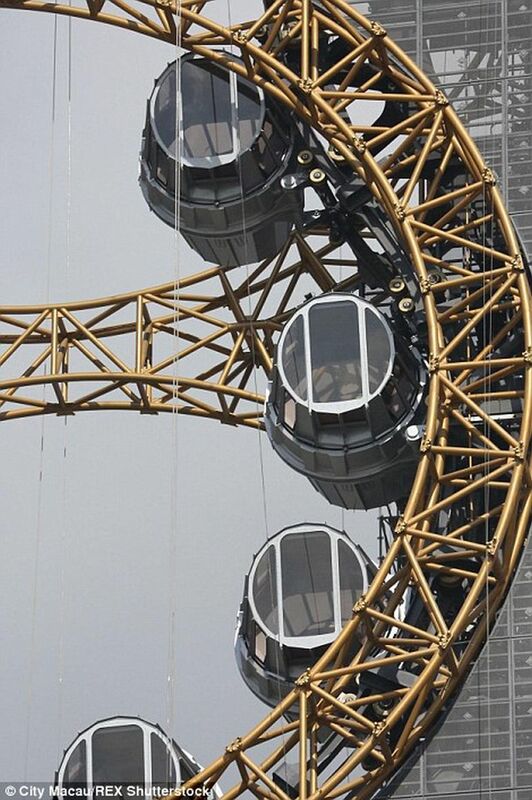 The cars travel along the inner outline of the Ferris wheel, except for the part in the middle that joins the two circles. 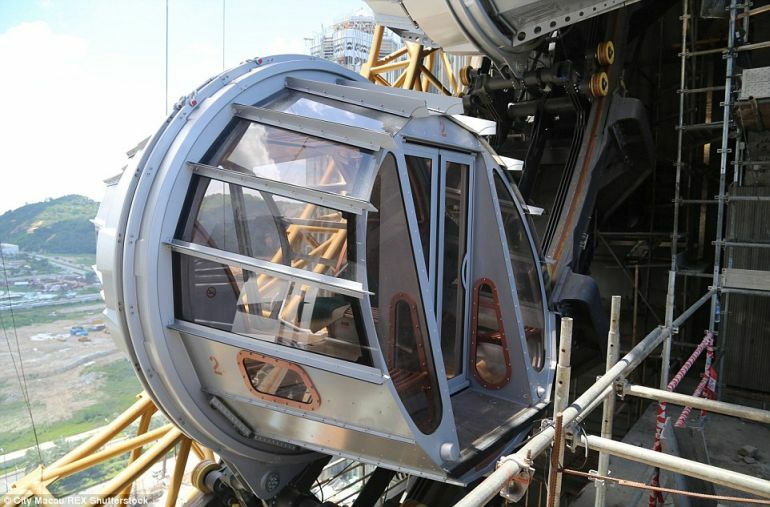 The ride, which can be accessed from the building’s 23rd floor, lasts an entire 15 minutes, and provides breathtaking views of the bustling cityscape. The authorities are currently conducting rigorous testing to check the ride’s safety. Other rides offered by the Studio City include the brilliant “Batman Dark Flight, a 4D virtual reality motion ride, quite possibly the first of its kind in the entire world. To know more, head over to Studio City’s official website.